For other uses, see Tel Aviv (disambiguation). Location of Tel Aviv-Yafo in Israel. Tel Aviv (Hebrew: תֵּל אָבִיב, [tel aˈviv], Arabic: تَلّ أَبِيب‎, tall ʾabīb) is the second most populous city in Israel—after Jerusalem—and the most populous city in the conurbation of Gush Dan, Israel's largest metropolitan area. Located on the country's Mediterranean coastline and with a population of 443,939, it is the economic and technological center of the country. Tel Aviv is governed by the Tel Aviv-Yafo Municipality, headed by Mayor Ron Huldai, and is home to many foreign embassies. [a] It is a global city and is ranked 25th in the Global Financial Centres Index. Tel Aviv has the third- or fourth-largest economy and the largest economy per capita in the Middle East. The city has the 31st highest cost of living in the world. Tel Aviv receives over 2.5 million international visitors annually. A "party capital" in the Middle East, it has a lively nightlife and 24-hour culture. Tel Aviv is home to Tel Aviv University, the largest university in the country with more than 30,000 students. The city was founded in 1909 by the Yishuv (Jewish residents) as a modern housing estate on the outskirts of the ancient port city of Jaffa (Hebrew: יָפוֹ Yafo), then part of the Jerusalem province of Ottoman Syria. It was at first called 'Ahuzat Bayit' (lit. "building houses", the name of the association which established the neighbourhood), a name changed the following year to 'Tel Aviv'. Its name means "Ancient Hill of Spring". Other Jewish suburbs of Jaffa established outside Jaffa's Old City even before Tel Aviv, eventually became part of Tel Aviv, the oldest among them being Neve Tzedek (est. 1886). Immigration by mostly Jewish refugees meant that the growth of Tel Aviv soon outpaced that of Jaffa, which had a majority Arab population at the time. Tel Aviv and Jaffa were later merged into a single municipality in 1950, two years after the Israeli Declaration of Independence, which was proclaimed in the city. Tel Aviv's White City, designated a UNESCO World Heritage Site in 2003, comprises the world's largest concentration of International Style buildings, including Bauhaus and other related modernist architectural styles. Tel Aviv is named after Theodor Herzl's 1902 novel, Altneuland ("Old New Land"), for which the title of the Hebrew edition was "Tel Aviv"
Tel Aviv is the Hebrew title of Theodor Herzl's Altneuland ("Old New Land"), translated from German by Nahum Sokolow. Sokolow had adopted the name of a Mesopotamian site near the city of Babylon mentioned in Ezekiel: "Then I came to them of the captivity at Tel Aviv, that lived by the river Chebar, and to where they lived; and I sat there overwhelmed among them seven days." The name was chosen in 1910 from several suggestions, including "Herzliya". It was found fitting as it embraced the idea of a renaissance in the ancient Jewish homeland. Aviv is Hebrew for "spring", symbolizing renewal, and tel is a man-made mound accumulating layers of civilization built one over the other and symbolizing the ancient. In this city we will build the streets so they have roads and sidewalks and electric lights. Every house will have water from wells that will flow through pipes as in every modern European city, and also sewerage pipes will be installed for the health of the city and its residents. Jaffa, now a part of Tel Aviv, was an important port city in the region for millennia. 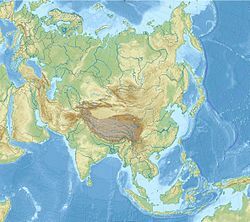 Archaeological evidence shows signs of human settlement there starting in roughly 7,500 BC. Its natural harbour has been used since the Bronze Age. By the time Tel Aviv was founded as a separate city during Ottoman rule of the region, Jaffa had been ruled by the Canaanites, Egyptians, Philistines, Israelites, Assyrians, Babylonians, Persians, Phoenicians, Ptolemies, Seleucids, Hasmoneans, Romans, Byzantines, the early Islamic caliphates, Crusaders, Ayyubids, and Mamluks before coming under Ottoman rule in 1515. It had been fought over numerous times. The city is mentioned in ancient Egyptian documents, as well as the Hebrew Bible. During the First Aliyah in the 1880s, when Jewish immigrants began arriving in the region in significant numbers, new neighborhoods were founded outside Jaffa on the current territory of Tel Aviv. The first was Neve Tzedek, founded by Mizrahi Jews due to overcrowding in Jaffa and built on lands owned by Aharon Chelouche. Other neighborhoods were Neve Shalom (1890), Yafa Nof (1896), Achva (1899), Ohel Moshe (1904), Kerem HaTeimanim (1906), and others. Once Tel Aviv received city status in the 1920s, those neighborhoods joined the newly formed municipality, now becoming separated from Jaffa. On 11 April 1909, 66 Jewish families gathered on a desolate sand dune to parcel out the land by lottery using seashells. This gathering is considered the official date of the establishment of Tel Aviv. The lottery was organised by Akiva Aryeh Weiss, president of the building society. Weiss collected 120 sea shells on the beach, half of them white and half of them grey. The members' names were written on the white shells and the plot numbers on the grey shells. A boy drew names from one box of shells and a girl drew plot numbers from the second box. A photographer, Avraham Soskin, documented the event. The first water well was later dug at this site, located on what is today Rothschild Boulevard, across from Dizengoff House. Within a year, Herzl, Ahad Ha'am, Yehuda Halevi, Lilienblum, and Rothschild streets were built; a water system was installed; and 66 houses (including some on six subdivided plots) were completed. At the end of Herzl Street, a plot was allocated for a new building for the Herzliya Hebrew High School, founded in Jaffa in 1906. The town was originally named Ahuzat Bayit. On 21 May 1910, the name Tel Aviv was adopted. The flag and city arms of Tel Aviv (see above) contain under the red Star of David 2 words from the biblical book of Jeremiah: "I (God) will build You up again and you will be rebuilt." (Jer 31:4) Tel Aviv was planned as an independent Hebrew city with wide streets and boulevards, running water for each house, and street lights. By 1914, Tel Aviv had grown to more than 1 square kilometre (247 acres). In 1915 a census of Tel Aviv was conducted, recording a population 2,679. However, growth halted in 1917 when the Ottoman authorities expelled the residents of Jaffa and Tel Aviv. A report published in The New York Times by United States Consul Garrels in Alexandria, Egypt described the Jaffa deportation of early April 1917. The orders of evacuation were aimed chiefly at the Jewish population. Jews were free to return to their homes in Tel Aviv at the end of the following year when, with the end of World War I and the defeat of the Ottomans, the British took control of Palestine. The immigrants were attracted to Tel Aviv because they found in it all the comforts they were used to in Europe: electric light, water, a little cleanliness, cinema, opera, theatre, and also more or less advanced schools... busy streets, full restaurants, cafes open until 2 a.m., singing, music, and dancing. 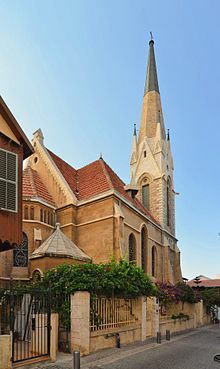 Jaffa, including the Tel Aviv neighbourhood, was conquered by the British imperial army in late 1917 during the Sinai and Palestine Campaign of World War I and became part of British-administered Mandatory Palestine until 1948. Tel Aviv, established as suburb of Jaffa, received township or local council status in 1921, and city status in 1934. According to a census conducted in 1922 by the British Mandate authorities, Tel Aviv had a population of 15,185 inhabitants, consisting of 15,065 Jews, 78 Muslims and 42 Christians. Increasing in the 1931 census to 46,101, in 12,545 houses. With increasing Jewish immigration during the British administration, friction between Arabs and Jews in Palestine increased. On 1 May 1921, the Jaffa Riots resulted in the deaths of 48 Arabs and 47 Jews and injuries to 146 Jews and 73 Arabs. 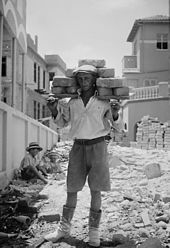 In the wake of this violence, many Jews left Jaffa for Tel Aviv, increasing the population of Tel Aviv from 2,000 in 1920 to around 34,000 by 1925. Tel Aviv began to develop as a commercial center. In 1923, Tel Aviv was the first town to be wired to electricity in Palestine, followed by Jaffa later in the same year. The opening ceremony of the Jaffa Electric Company powerhouse, on 10 June 1923, celebrated the lighting of the two main streets of Tel Aviv. In 1925, the Scottish biologist, sociologist, philanthropist and pioneering town planner Patrick Geddes drew up a master plan for Tel Aviv which was adopted by the city council led by Meir Dizengoff. Geddes's plan for developing the northern part of the district was based on Ebenezer Howard's garden city movement. The plan consisted of four main features: a hierarchical system of streets laid out in a grid, large blocks consisting of small-scale domestic dwellings, the organization of these blocks around central open spaces, and the concentration of cultural institutions to form a civic center. While most of the northern area of Tel Aviv was built according to this plan, the influx of European refugees in the 1930s necessitated the construction of taller apartment buildings on a larger footprint in the city. 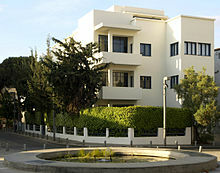 Ben Gurion House was built in 1930–31, part of a new workers' housing development. At the same time, Jewish cultural life was given a boost by the establishment of the Ohel Theatre and the decision of Habima Theatre to make Tel Aviv its permanent base in 1931. Many German Jewish architects trained at the Bauhaus, the Modernist school of architecture in Germany, and left Germany during the 1930s. Some, like Arieh Sharon, came to Palestine and adapted the architectural outlook of the Bauhaus and similar schools to the local conditions there, creating what is recognized as the largest concentration of buildings in the International Style in the world. [unreliable source] Tel Aviv's White City emerged in the 1930s, and became a UNESCO World Heritage Site in 2003. During World War II, Tel Aviv was hit by Italian airstrikes on September 9, 1940, which killed 137 people in the city. According to the 1947 UN Partition Plan for dividing Palestine into Jewish and Arab states, Tel Aviv, by then a city of 230,000, was to be included in the proposed Jewish state. Jaffa with, as of 1945, a population of 101,580 people—53,930 Muslims, 30,820 Jews and 16,800 Christians—was designated as part of the Arab state. Civil War broke out in the country and in particular between the neighbouring cities of Tel Aviv and Jaffa, which had been assigned to the Jewish and Arab states respectively. After several months of siege, on 13 May 1948, Jaffa fell and the Arab population fled en masse. When Israel declared Independence on 14 May 1948, the population of Tel Aviv was over 200,000. Tel Aviv was the temporary government center of the State of Israel until the government moved to Jerusalem in December 1949. Due to the international dispute over the status of Jerusalem, most embassies remained in or near Tel Aviv. The boundaries of Tel Aviv and Jaffa became a matter of contention between the Tel Aviv municipality and the Israeli government in 1948. The former wished to incorporate only the northern Jewish suburbs of Jaffa, while the latter wanted a more complete unification. The issue also had international sensitivity, since the main part of Jaffa was in the Arab portion of the United Nations Partition Plan, whereas Tel Aviv was not, and no armistice agreements had yet been signed. On 10 December 1948, the government announced the annexation to Tel Aviv of Jaffa's Jewish suburbs, the Palestinian neighborhood of Abu Kabir, the Palestinian village of Salama and some of its agricultural land, and the Jewish 'Hatikva' slum. On 25 February 1949, the depopulated Palestinian village of al-Shaykh Muwannis was also annexed to Tel Aviv. On 18 May 1949, Manshiya and part of Jaffa's central zone were added, for the first time including land that had been in the Arab portion of the UN partition plan. The government voted on the unification of Tel Aviv and Jaffa on 4 October 1949, but the decision was not implemented until 24 April 1950 due to the opposition of Tel Aviv mayor Israel Rokach. The name of the unified city was Tel Aviv until 19 August 1950, when it was renamed Tel Aviv-Yafo in order to preserve the historical name Jaffa. Tel Aviv thus grew to 42 square kilometers (16.2 sq mi). In 1949, a memorial to the 60 founders of Tel Aviv was constructed. In the 1960s, some of the older buildings were demolished, making way for the country's first high-rises. The Shalom Meir Tower, which was completed in 1965, was Israel's tallest building until 1999. Tel Aviv's population peaked in the early 1960s at 390,000, representing 16 percent of the country's total. By the early 1970s, Tel Aviv had entered a long and steady period of continuous population decline, which was accompanied by urban decay. By 1981, Tel Aviv had entered not just natural population decline, but an absolute population decline as well. In the late 1980s the city had an aging population of 317,000. Construction activity had moved away from the inner ring of Tel Aviv, and had moved to its outer perimeter and adjoining cities. A mass out-migration of residents from Tel Aviv, to adjoining cities like Petah Tikva and Rehovot, where better housing conditions were available, was underway by the beginning of the 1970s, and only accelerated by the Yom Kippur War. High property prices pushed families out of Tel Aviv and deterred young people from moving in. From the beginning of 1970s, the common image of Tel Aviv became that of a decaying city, as Tel Aviv's population fell 20% . In the 1970s, the apparent sense of Tel Aviv's urban decline became a theme in the work of novelists such as Yaakov Shabtai, in works describing the city such as Sof Davar (The End of Things) and Zikhron Devarim (The Memory of Things). A symptomatic article of 1980 asked "Is Tel Aviv Dying?" and portrayed what it saw as the city's existential problems: "Residents leaving the city, businesses penetrating into residential areas, economic and social gaps, deteriorating neighbourhoods, contaminated air - Is the First Hebrew City destined for a slow death? Will it become a ghost town?". However, others saw this as a transitional period. And by the late 1980s, attitudes to the city's future had become markedly more optimistic. It had also become a center of nightlife and discotheques for Israelis who lived in the suburbs and adjoining cities. By 1989, Tel Aviv had acquired the nickname "Nonstop City", as a reflection of the growing recognition of its nightlife and 24/7 culture, and "Nonstop City" had to some extent replaced the former moniker of "First Hebrew City". The largest project built in this era was the Dizengoff Center, Israel's first shopping mall, which was completed in 1983. Other notable projects included the construction of Marganit Tower in 1987, the opening of the Suzanne Dellal Center for Dance and Theater in 1989, and the Tel Aviv Cinematheque (opened in 1973 and located to the current building in 1989). In the early 1980s, 13 embassies in Jerusalem moved to Tel Aviv as part of the UN's measures responding to Israel's 1980 Jerusalem Law. Today, most national embassies are located in Tel Aviv or environs. In the 1990s, the decline in Tel Aviv's population began to be reversed and stabilized, at first temporarily due to a wave of immigrants from the former Soviet Union. Tel Aviv absorbed 42,000 immigrants from the FSU, many educated in scientific, technological, medical and mathematical fields. In this period, the number of engineers in the city doubled. Tel Aviv soon began to emerge as a global high-tech center. The construction of many skyscrapers and high-tech office buildings followed. In 1993, Tel Aviv was categorized as a world city. However, the city's municipality struggled to cope with an influx of new immigrants. Tel Aviv’s tax base had been shrinking for many years, as a result of its preceding long term population decline, and this meant there was little money available at the time to invest in the city’s deteriorating infrastructure and housing. In 1998, Tel Aviv was on the “verge of bankruptcy” Economic difficulties would then be compounded by a wave of Palestinian suicide bombings in the city from the mid 1990s, to the end of the Second Intifada, as well as the Dot-com bubble, which affected the city's rapidly growing hi-tech sector. On 4 November 1995, Israel's prime minister, Yitzhak Rabin, was assassinated at a rally in Tel Aviv in support of the Oslo peace accord. The outdoor plaza where this occurred, formerly known as Kikar Malchei Yisrael, was renamed Rabin Square. New laws were introduced to protect Modernist buildings, and efforts to preserve them were aided by UNESCO recognition of the Tel Aviv's White City as a world heritage site in 2003. In the early 2000s, Tel Aviv municipality focused on attracting more young residents to the city. It made significant investment in major boulevards, to create attractive pedestrian corridors. Former industrial areas like the city's previously derelict Northern Tel Aviv Port and the Jaffa railway station, were upgraded and transformed into leisure areas. A process of gentrification began in some of the poor neighborhoods of southern Tel Aviv and many older buildings began to be renovated. The demographic profile of the city changed in the 2000s, as it began to attract a higher proportion of young residents. By 2012, 28 percent of the city's population was aged between 20-34 years old. Between 2007-2012, the city's population growth averaged 6.29 percent. As a result of its population recovery and industrial transition, the city's finances were transformed, and by 2012 it was running a budget surplus and maintained a credit rating of AAA+. In 2009, Tel Aviv celebrated its official centennial. In addition to city- and country-wide celebrations, digital collections of historical materials were assembled. These include the History section of the official Tel Aviv-Yafo Centennial Year website; the Ahuzat Bayit collection, which focuses on the founding families of Tel Aviv, and includes photographs and biographies; and Stanford University's Eliasaf Robinson Tel Aviv Collection, documenting the history of the city. Today, the city is regarded as a strong candidate for global city status. Over the past 60 years, Tel Aviv had developed into a secular, liberal-minded center with a vibrant nightlife and café culture. In the Gulf War in 1991, Tel Aviv was attacked by Scud missiles from Iraq. Iraq hoped to provoke an Israeli military response, which could have destroyed the US–Arab alliance. The United States pressured Israel not to retaliate, and after Israel acquiesced, the US and Netherlands rushed Patriot missiles to defend against the attacks, but they proved largely ineffective. Tel Aviv and other Israeli cities continued to be hit by Scuds throughout the war, and every city in the Tel Aviv area except for Bnei Brak was hit. A total of 74 Israelis died as a result of the Iraqi attacks, mostly from suffocation and heart attacks, while approximately 230 Israelis were injured. Extensive property damage was also caused, and some 4,000 Israelis were left homeless. It was feared that Iraq would fire missiles filled with nerve agents or sarin. As a result, the Israeli government issued gas masks to its citizens. When the first Iraqi missiles hit Israel, some people injected themselves with an antidote for nerve gas. The inhabitants of the southeastern suburb of HaTikva erected an angel-monument as a sign of their gratitude that "it was through a great miracle, that many people were preserved from being killed by a direct hit of a Scud rocket." Since the First Intifada, Tel Aviv has suffered from Palestinian political violence. The first suicide attack in Tel Aviv occurred on 19 October 1994, on the Line 5 bus, when a bomber killed 22 civilians and injured 50 as part of a Hamas suicide campaign. On 6 March 1996, another Hamas suicide bomber killed 13 people (12 civilians and 1 soldier), many of them children, in the Dizengoff Center suicide bombing. Three women were killed by a Hamas terrorist in the Café Apropo bombing on 27 March 1997. One of the most deadly attacks occurred on 1 June 2001, during the Second Intifada, when a suicide bomber exploded at the entrance to the Dolphinarium discothèque, killing 21, mostly teenagers, and injuring 132. Another Hamas suicide bomber killed six civilians and injured 70 in the Allenby Street bus bombing. Twenty-three civilians were killed and over 100 injured in the Tel Aviv central bus station massacre. Al-Aqsa Martyrs Brigades claimed responsibility for the attack. In the Mike's Place suicide bombing, an attack on a bar by a British Muslim suicide bomber resulted in the deaths of three civilians and wounded over 50. Hamas and Al Aqsa Martyrs Brigades claimed joint responsibility. An Islamic Jihad bomber killed five and wounded over 50 in the 25 February 2005 Stage Club bombing. The most recent suicide attack in the city occurred on 17 April 2006, when 11 people were killed and at least 70 wounded in a suicide bombing near the old central bus station. Another attack took place on 29 August 2011 in which a Palestinian attacker stole an Israeli taxi cab and rammed it into a police checkpoint guarding the popular Haoman 17 nightclub in Tel Aviv which was filled with 2,000 Israeli teenagers. After crashing, the assailant went on a stabbing spree, injuring eight people. Due to an Israel Border Police roadblock at the entrance and immediate response of the Border Police team during the subsequent stabbings, a much larger and fatal mass-casualty incident was avoided. On 21 November 2012, during Operation Pillar of Defense, the Tel Aviv area was targeted by rockets, and air raid sirens were sounded in the city for the first time since the Gulf War. All of the rockets either missed populated areas or were shot down by an Iron Dome rocket defense battery stationed near the city. During the operation, a bomb blast on a bus wounded at least 28 civilians, three seriously. This was described as a terrorist attack by Israel, Russia, and the United States and was condemned by the United Nations, United States, United Kingdom, France and Russia, whilst Hamas spokesman Sami Abu Zuhri declared that the organisation "blesses" the attack. City plan of Tel Aviv, Israel. Tel Aviv is located around 32°5′N 34°48′E﻿ / ﻿32.083°N 34.800°E﻿ / 32.083; 34.800 on the Israeli Mediterranean coastline, in central Israel, the historic land bridge between Europe, Asia and Africa. Immediately north of the ancient port of Jaffa, Tel Aviv lies on land that used to be sand dunes and as such has relatively poor soil fertility. 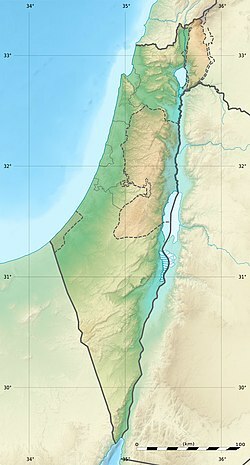 The land has been flattened and has no important gradients; its most notable geographical features are bluffs above the Mediterranean coastline and the Yarkon River mouth. Because of the expansion of Tel Aviv and the Gush Dan region, absolute borders between Tel Aviv and Jaffa and between the city's neighborhoods do not exist. The city is located 60 kilometers (37 mi) northwest of Jerusalem and 90 kilometers (56 mi) south of the city of Haifa. 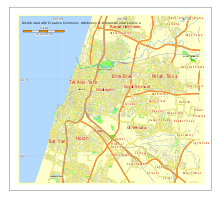 Neighboring cities and towns include Herzliya to the north, Ramat HaSharon to the northeast, Petah Tikva, Bnei Brak, Ramat Gan and Giv'atayim to the east, Holon to the southeast, and Bat Yam to the south. The city is economically stratified between the north and south. 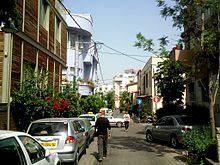 Southern Tel Aviv is considered less affluent than northern Tel Aviv with the exception of Neve Tzedek and northern and north-western Jaffa. Central Tel Aviv is home to Azrieli Center and the important financial and commerce district along Ayalon Highway. The northern side of Tel Aviv is home to Tel Aviv University, Hayarkon Park, and upscale residential neighborhoods such as Ramat Aviv and Afeka. Tel Aviv has a Mediterranean climate (Köppen climate classification: Csa), and enjoys plenty of sunshine throughout the year. Most precipitation falls in the form of rain between the months of October and April, with intervening dry summers. 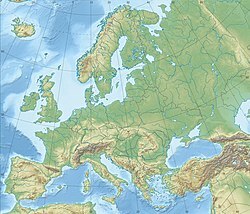 The average annual temperature is 20.9 °C (69.6 °F), and the average sea temperature is 18–20 °C (64–68 °F) during the winter, and 24–29 °C (75–84 °F) during the summer. The city averages 528 millimeters (20.8 in) of precipitation annually. Summers in Tel Aviv last about five months, from June to October. August, the warmest month, averages a high of 30.6 °C (87.1 °F), and a low of 25 °C (77 °F). The high relative humidity due to the location of the city by the Mediterranean Sea, in a combination with the high temperatures, creates a thermal discomfort during the summer. Summer low temperatures in Tel Aviv seldom drop below 20 °C (68 °F). Winters are mild and wet, with most of the annual precipitation falling within the months of December, January and February as intense rainfall and thunderstorms. In January, the coolest month, the average maximum temperature is 17.6 °C (63.7 °F), the minimum temperature averages 10.2 °C (50.4 °F). During the coldest days of winter, temperatures may vary between 8 °C (46 °F) and 12 °C (54 °F). Both freezing temperatures and snowfall are extremely rare in the city. Autumns and springs are characterized by sharp temperature changes, with heat waves that might be created due to hot and dry air masses that arrive from the nearby deserts. During heatwaves in autumn and springs, temperatures usually climb up to 35 °C (95 °F) and even up to 40 °C (104 °F), accompanied with exceptionally low humidity. An average day during autumn and spring has a high of 23 °C (73 °F) to 25 °C (77 °F), and a low of 15 °C (59 °F) to 18 °C (64 °F). The highest recorded temperature in Tel Aviv was 46.5 °C (115.7 °F) on 17 May 1916, and the lowest is −1.9 °C (28.6 °F) on 7 February 1950, during a cold wave that brought the only recorded snowfall in Tel Aviv. Tel Aviv is governed by a 31-member city council elected for a five-year term in direct proportional elections. All Israeli citizens over the age of 18 with at least one year of residence in Tel Aviv are eligible to vote in municipal elections. The municipality is responsible for social services, community programs, public infrastructure, urban planning, tourism and other local affairs. The Tel Aviv City Hall is located at Rabin Square. Ron Huldai has been mayor of Tel Aviv since 1998. Huldai was reelected for a fourth term in the 2013 municipal elections, defeating Nitzan Horowitz who ran at the head of the Meretz list. Huldai's term equals that of the previously longest-serving mayor, Shlomo Lahat, who was in office for 19 years. The shortest-serving was David Bloch, in office for two years, 1925–27. Politically, Tel Aviv is known to be a stronghold for the left, in both local and national issues. The left wing vote is especially prevalent in the city's mostly affluent central and northern neighborhoods, though not the case for its working-class southeastern neighborhoods which tend to vote for right wing parties in national elections. Outside the kibbutzim, Meretz receives more votes in Tel Aviv than in any other city in Israel. Following the 2013 municipal elections, Meretz gained an unprecedented 6 seats on the council. However, having been reelected as mayor, Huldai and the Tel Aviv 1 list lead the coalition, which controls 29 of 31 seats. In 2006, 51,359 children attended school in Tel Aviv, of whom 8,977 were in municipal kindergartens, 23,573 in municipal elementary schools, and 18,809 in high schools. Sixty-four percent of students in the city are entitled to matriculation, more than 5 percent higher than the national average. About 4,000 children are in first grade at schools in the city, and population growth is expected to raise this number to 6,000. As a result, 20 additional kindergarten classes were opened in 2008–09 in the city. A new elementary school is planned north of Sde Dov as well as a new high school in northern Tel Aviv. The first Hebrew high school, called Herzliya Hebrew Gymnasium, was built in 1905 on Herzl Street. Tel Aviv University, the largest university in Israel, is known internationally for its physics, computer science, chemistry and linguistics departments. Together with Bar-Ilan University in neighboring Ramat Gan, the student population numbers over 50,000, including a sizeable international community. Its campus is located in the neighborhood of Ramat Aviv. Tel Aviv also has several colleges. 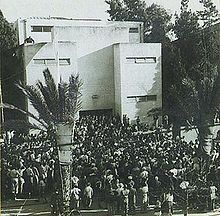 The Herzliya Hebrew Gymnasium moved from Jaffa to old Tel Aviv in 1909 and moved to Jabotinsky Street in the early 1960s. Other notable schools in Tel Aviv include Shevah Mofet, the second Hebrew school in the city, Ironi Alef High School for Arts and Alliance. Tel Aviv has a population of 443,939 spread over a land area of 52,000 dunams (52.0 km2) (20 mi²), yielding a population density of 7,606 people per square km (19,699 per square mile). 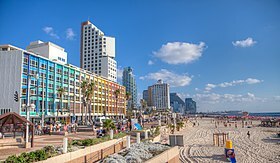 According to the Israel Central Bureau of Statistics (CBS), as of 2009[update] Tel Aviv's population is growing at an annual rate of 0.5 percent. Jews of all backgrounds form 91.8 percent of the population, Muslims and Arab Christians make up 4.2 percent, and the remainder belong to other groups (including various Christian and Asian communities). As Tel Aviv is a multicultural city, many languages are spoken in addition to Hebrew. According to some estimates, about 50,000 unregistered African and Asian foreign workers live in the city. Compared with Westernised cities, crime in Tel Aviv is relatively low. According to Tel Aviv-Yafo Municipality, the average income in the city, which has an Unemployment Rate of 4.6%, is 20% above the national average. The city's education standards are above the national average: of its 12th-grade students, 64.4 percent are eligible for matriculation certificates. The age profile is relatively even, with 22.2 percent aged under 20, 18.5 percent aged 20–29, 24 percent aged 30–44, 16.2 percent aged between 45 and 59, and 19.1 percent older than 60. Tel Aviv's population reached a peak in the early 1960s at around 390,000, falling to 317,000 in the late 1980s as high property prices forced families out and deterred young couples from moving in. Since the 1990s, population has steadily grown. Today, the city's population is young and growing. In 2006, 22,000 people moved to the city, while only 18,500 left, and many of the new families had young children. The population is expected to reach 450,000 by 2025; meanwhile, the average age of residents fell from 35.8 in 1983 to 34 in 2008. The population over age 65 stands at 14.6 percent compared with 19% in 1983. 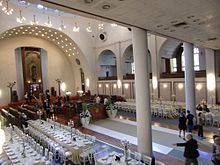 Tel Aviv has 544 active synagogues, including historic buildings such as the Great Synagogue, established in the 1930s. In 2008, a center for secular Jewish Studies and a secular yeshiva opened in the city. Tensions between religious and secular Jews before the gay pride parade ended in vandalism of a synagogue. The number of churches has grown to accommodate the religious needs of diplomats and foreign workers. The population was 93% Jewish, 1% Muslim, and 1% Christian. The remaining 5 percent were not classified by religion. Israel Meir Lau is chief rabbi of the city. Tel Aviv is an ethnically diverse city. The Jewish population, which forms the majority group in Tel Aviv consists of the descendants of immigrants from all parts of the world, including Ashkenazi Jews from Europe, North America, South America, Australia and South Africa, as well as Sephardic and Mizrahi Jews from Southern Europe, North Africa, India, Central Asia, West Asia, and the Arabian Peninsula. There are also a sizable number of Ethiopian Jews and their descendants living in Tel Aviv. In addition to Muslim and Arab Christian minorities in the city, several hundred Armenian Christians who reside in the city are concentrated mainly in Jaffa and some Christians from the former Soviet Union who immigrated to Israel with Jewish spouses and relatives. In recent years, Tel Aviv has received many non-Jewish migrants from Asia and Africa, students, foreign workers (documented and undocumented) and refugees. 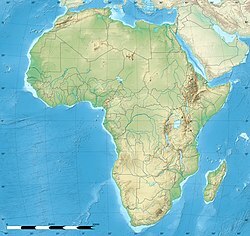 There are many economic migrants and refugees from African countries, primarily Eritrea and Sudan, located in the southern part of the city. Tel Aviv is divided into nine districts that have formed naturally over the city's short history. The oldest of these is Jaffa, the ancient port city out of which Tel Aviv grew. This area is traditionally made up demographically of a greater percentage of Arabs, but recent gentrification is replacing them with a young professional and artist population. Similar processes are occurring in nearby Neve Tzedek, the original Jewish neighborhood outside of Jaffa. Ramat Aviv, a district in the northern part of the city that is largely made up of luxury apartments and includes Tel Aviv University, is currently undergoing extensive expansion and is set to absorb the beachfront property of Sde Dov Airport after its decommissioning. The area known as HaKirya is the Israel Defense Forces (IDF) headquarters and a large military base. Since the 1980s, major restoration and gentrification projects have been implemented in southern Tel Aviv. 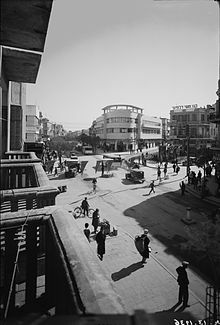 [unreliable source] Baruch Yoscovitz, city planner for Tel Aviv beginning in 2001, reworked old British plans for the Florentin neighborhood from the 1920s, adding green areas, pedestrian malls, and housing. The municipality invested two million shekels in the project. The goal was to make Florentin the Soho of Tel Aviv, and attract artists and young professionals to the neighborhood. Indeed, street artists, such as Dede, installation artists such as Sigalit Landau, and many others made the upbeat neighborhood their home base. Florentin is now known as a hip, "cool" place to be in Tel Aviv with coffeehouses, markets, bars, galleries and parties. Tel Aviv is home to different architectural styles that represent influential periods in its history. The early architecture of Tel Aviv consisted largely of European-style single-story houses with red-tiled roofs. Neve Tzedek, the first neighborhood to be constructed outside of Jaffa is characterised by two-story sandstone buildings. By the 1920s, a new eclectic Orientalist style came into vogue, combining European architecture with Eastern features such as arches, domes and ornamental tiles. Municipal construction followed the "garden city" master plan drawn up by Patrick Geddes. Two- and three-story buildings were interspersed with boulevards and public parks. Various architectural styles, such as Art Deco, classical and modernist also exist in Tel Aviv. Bauhaus architecture was introduced in the 1920s and 1930s by German Jewish architects who settled in Palestine after the rise of the Nazis. Tel Aviv's White City, around the city center, contains more than 5,000 Modernist-style buildings inspired by the Bauhaus school and Le Corbusier. Construction of these buildings, later declared protected landmarks and, collectively, a UNESCO World Heritage Site, continued until the 1950s in the area around Rothschild Boulevard. Some 3,000 buildings were created in this style between 1931 and 1939 alone. In the 1960s, this architectural style gave way to office towers and a chain of waterfront hotels and commercial skyscrapers. Some of the city's Modernist buildings were neglected to the point of ruin. Before legislation to preserve this landmark architecture, many of the old buildings were demolished. Efforts are under way to refurbish Bauhaus buildings and restore them to their original condition. 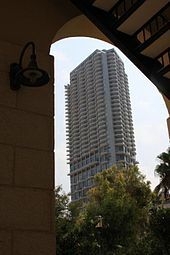 The Shalom Meir Tower, Israel's first skyscraper, was built in Tel Aviv in 1965 and remained the country's tallest building until 1999. At the time of its construction, the building rivaled Europe's tallest buildings in height, and was the tallest in the Middle East. In the mid-1990s, the construction of skyscrapers began throughout the entire city, altering its skyline. Before that, Tel Aviv had had a generally low-rise skyline. However, the towers were not concentrated in certain areas, and were scattered at random locations throughout the city, creating a disjointed skyline. New neighborhoods, such as Park Tzameret, have been constructed to house apartment towers such as YOO Tel Aviv towers, designed by Philippe Starck. Other districts, such as Sarona, have been developed with office towers. Other recent additions to Tel Aviv's skyline include the 1 Rothschild Tower and First International Bank Tower. As Tel Aviv celebrated its centennial in 2009, the city attracted a number of architects and developers, including I. M. Pei, Donald Trump, and Richard Meier. American journalist David Kaufman reported in New York magazine that since Tel Aviv "was named a UNESCO World Heritage site, gorgeous historic buildings from the Ottoman and Bauhaus era have been repurposed as fabulous hotels, eateries, boutiques, and design museums." 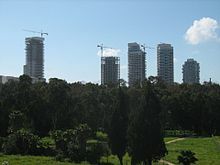 In November 2009, Haaretz reported that Tel Aviv had 59 skyscrapers more than 100 meters tall. Currently, dozens of skyscrapers have been approved or are under construction throughout the city, and many more are planned. The tallest building approved is the Egged Tower, which would become Israel's tallest building upon completion. According to current plans, the tower is planned to have 80 floors, rise to a height of 270 meters, and will have a 50-meter spire. In 2010, the Tel Aviv Municipality's Planning and Construction Committee launched a new master plan for the city for 2025. It decided not to allow the construction of any additional skyscrapers in the city center, while at the same time greatly increasing the construction of skyscrapers in the east. The ban extends to an area between the coast and Ibn Gabirol Street, and also between the Yarkon River and Eilat Street. It did not extend to towers already under construction or approved. One final proposed skyscraper project was approved, while dozens of others had to be scrapped. Any new buildings there will usually not be allowed to rise above six and a half stories. However, hotel towers along almost the entire beachfront will be allowed to rise up to 25 stories. According to the plan, large numbers of skyscrapers and high-rise buildings at least 18 stories tall would be built in the entire area between Ibn Gabirol Street and the eastern city limits, as part of the master plan's goal of doubling the city's office space to cement Tel Aviv as the business capital of Israel. Under the plan, "forests" of corporate skyscrapers will line both sides of the Ayalon Highway. Further south, skyscrapers rising up to 40 stories will be built along the old Ottoman railway between Neve Tzedek and Florentine, with the first such tower there being the Neve Tzedek Tower. Along nearby Shlavim Street, passing between Jaffa and south Tel Aviv, office buildings up to 25 stories will line both sides of the street, which will be widened to accommodate traffic from the city's southern entrance to the center. In November 2012, it was announced that to encourage investment in the city's architecture, residential towers throughout Tel Aviv would be extended in height. Buildings in Jaffa and the southern and eastern districts may have two and a half stories added, while those on Ibn Gabirol Street might be extended by seven and a half stories. Tel Aviv has been ranked as the twenty-fifth most important financial center in the world. It was built on sand dunes in an area unsuitable for farming. Instead, it developed as a hub of business and scientific research. [unreliable source] In 1926, the country's first shopping arcade, Passage Pensak, was built there. By 1936, as tens of thousands of middle class immigrants arrived from Europe, Tel Aviv was already the largest city in Palestine. A small port was built at the Yarkon estuary, and many cafes, clubs and cinemas opened. Herzl Street became a commercial thoroughfare at this time. Economic activities account for 17 percent of the GDP. In 2011, Tel Aviv had an unemployment rate of 4.4 percent. Tel Aviv Stock Exchange. Its building is optimized for computer trading. Its computer systems are located in an underground bunker in case of emergencies, in which there is space for personnel to keep the exchange active during emergencies. The city has been described as a "flourishing technological center" by Newsweek and a "miniature Los Angeles" by The Economist. In 1998, the city was described by Newsweek as one of the 10 most technologically influential cities in the world. Since then, high-tech industry in the Tel Aviv area has continued to develop. The Tel Aviv metropolitan area (including satellite cities such as Herzliya and Petah Tikva) is Israel's center of high-tech, sometimes referred to as Silicon Wadi. In 2016, the Globalization and World Cities Study Group and Network (GaWC) at Loughborough University reissued an inventory of world cities based on their level of advanced producer services. Tel Aviv was ranked as a alpha- world city. The Kiryat Atidim high tech zone opened in 1972 and the city has become a major world high tech hub. In December 2012, the city was ranked second on a list of top places to found a high tech startup company, just behind Silicon Valley. In 2013, Tel Aviv had more than 700 startup companies and research and development centers, and was ranked the second-most innovative city in the world, behind Medellín and ahead of New York City. According to Forbes, nine of its fifteen Israeli-born billionaires live in Israel; four live in Tel Aviv and its suburbs. The cost of living in Israel is high, with Tel Aviv being its most expensive city to live in. According to Mercer, a human resources consulting firm based in New York, as of 2010[update] Tel Aviv is the most expensive city in the Middle East and the 19th most expensive in the world. Shopping malls in Tel Aviv include Dizengoff Center, Ramat Aviv Mall and Azrieli Shopping Mall and markets such as Carmel Market, Ha'Tikva Market, and Bezalel Market. Tel Aviv is a major center of culture and entertainment. Eighteen of Israel's 35 major centers for the performing arts are located in the city, including five of the country's nine large theatres, where 55% of all performances in the country and 75 percent of all attendance occurs. 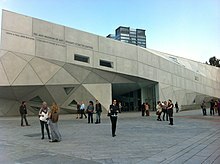 The Tel Aviv Performing Arts Center is home of the Israeli Opera, where Plácido Domingo was house tenor between 1962 and 1965, and the Cameri Theatre. With 2,482 seats, the Heichal HaTarbut is the city's largest theatre and home to the Israel Philharmonic Orchestra. Habima Theatre, Israel's national theatre, was closed down for renovations in early 2008, and reopened in November 2011 after major remodeling. Enav Cultural Center is one of the newer additions to the cultural scene. 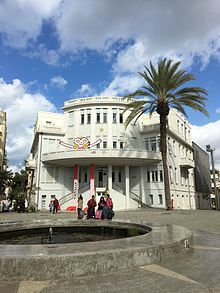 Other theatres in Tel Aviv are the Gesher Theatre and Beit Lessin Theater; Tzavta and Tmuna are smaller theatres that host musical performances and fringe productions. In Jaffa, the Simta and Notzar theatres specialize in fringe as well. Tel Aviv is home to the Batsheva Dance Company, a world-famous contemporary dance troupe. The Israeli Ballet is also based in Tel Aviv. Tel Aviv's center for modern and classical dance is the Suzanne Dellal Center for Dance and Theatre in Neve Tzedek. The city often hosts global musical acts such as Paul McCartney, Elton John, Madonna, The Rolling Stones, Radiohead, Depeche Mode and Damian Marley etc. in venues such as Hayarkon Park, the Israel Trade Fairs & Convention Center, the Barby Club, the Zappa Club and Live Park Rishon Lezion just south of Tel Aviv. Opera and classical music performances are held daily in Tel Aviv, with many of the world's leading classical conductors and soloists performing on Tel Aviv stages over the years. On 13 September 2018, the European Broadcasting Union (EBU) & Israeli broadcaster Israeli Public Broadcasting Corporation (KAN) announced that Tel Aviv will host the Eurovision Song Contest 2019, after Israel won the rights to host it following Netta Barzilai's victory at the 2018 contest in Lisbon, Portugal, with the song "Toy". The contest will take place at the Israel Trade Fairs & Convention Center, with the semi-finals set to be held on 14 & 16 May 2019, and the final taking place on 18 May 2019. This will be the third time that Israel has hosted the contest following the 1979 & 1999 contests, which were both held in Jerusalem. The Tel Aviv Cinematheque screens art movies, premieres of short and full-length Israeli films, and hosts a variety of film festivals, among them the Festival of Animation, Comics and Caricatures, "Icon" Science Fiction and Fantasy Festival, the Student Film Festival, the Jazz, Film and Videotape Festival and Salute to Israeli Cinema. The city has several multiplex cinemas. Tel Aviv receives about 2.5 million international visitors annually, the fifth-most-visited city in the Middle East & Africa. . In 2010, Knight Frank's world city survey ranked it 34th globally. Tel Aviv has been named the third "hottest city for 2011" (behind only New York City and Tangier) by Lonely Planet, third-best in the Middle East and Africa by Travel + Leisure magazine (behind only Cape Town and Jerusalem), and the ninth-best beach city in the world by National Geographic. Tel Aviv is consistently ranked as one of the top LGBT destinations in the world. The city has also been ranked as one of the top 10 oceanfront cities. Tel Aviv is known as "the city that never sleeps" and a "party capital" due to its thriving nightlife, young atmosphere and famous 24-hour culture. Tel Aviv has branches of some of the world's leading hotels, including the Crowne Plaza, Sheraton, Dan, Isrotel and Hilton. It is home to many museums, architectural and cultural sites, with city tours available in different languages. Apart from bus tours, architectural tours, Segway tours, and walking tours are also popular. Tel Aviv has 44 hotels with more than 6,500 rooms. The beaches of Tel Aviv and the city's promenade play a major role in the city's cultural and touristic scene, often ranked as some of the best beaches in the world. Hayarkon Park is the most visited urban park in Israel, with 16 million visitors annually. Other parks within city limits include Charles Clore Park, Independence Park, Meir Park and Dubnow Park. About 19% of the city land are green spaces. Tel Aviv is an international hub of highly active and diverse nightlife with bars, dance bars and nightclubs staying open well past midnight. The largest area for nightclubs is the Tel Aviv port, where the city's large, commercial clubs and bars draw big crowds of young clubbers from both Tel Aviv and neighboring cities. The South of Tel Aviv is known for the popular Haoman 17 club, as well as for being the city's main hub of alternative clubbing, with underground venues including established clubs like the Block Club, Comfort 13 and Paradise Garage, as well as various warehouse and loft party venues. The Allenby/Rothschild area is another popular nightlife hub, featuring such clubs as the Pasaz, Radio EPGB and the Penguin. In 2013, Absolut Vodka introduced a specially designed bottle dedicated to Tel Aviv as part of its international cities series. Tel Aviv has become an international center of fashion and design. It has been called the "next hot destination" for fashion. Israeli designers, such as swimwear company Gottex show their collections at leading fashion shows, including New York's Bryant Park fashion show. In 2011, Tel Aviv hosted its first Fashion Week since the 1980s, with Italian designer Roberto Cavalli as a guest of honor. Named "the best gay city in the world" by American Airlines, Tel Aviv is one of the most popular destinations for LGBT tourists internationally, with a large LGBT community. American journalist David Kaufman has described the city as a place "packed with the kind of ‘we're here, we're queer’ vibe more typically found in Sydney and San Francisco. The city hosts its well-known pride parade, the biggest in Asia, attracting over 200,000 people yearly. In January 2008, Tel Aviv's municipality established the city's LGBT Community centre, providing all of the municipal and cultural services to the LGBT community under one roof. In December 2008, Tel Aviv began putting together a team of gay athletes for the 2009 World Outgames in Copenhagen. In addition, Tel Aviv hosts an annual LGBT Film Festival. Tel Aviv's LGBT community is the subject of Eytan Fox's 2006 film The Bubble. Israel has the highest number of museums per capita of any country, with three of the largest located in Tel Aviv. Among these are the Eretz Israel Museum, known for its collection of archaeology and history exhibits dealing with the Land of Israel, and the Tel Aviv Museum of Art. Housed on the campus of Tel Aviv University is Beth Hatefutsoth, a museum of the international Jewish diaspora that tells the story of Jewish prosperity and persecution throughout the centuries of exile. Batey Haosef Museum specializes in Israel Defense Forces military history. The Palmach Museum near Tel Aviv University offers a multimedia experience of the history of the Palmach. Right next to Charles Clore Park is a museum of the Etzel. The Israel Trade Fairs & Convention Center, located in the northern part of the city, hosts more than 60 major events annually. Many offbeat museums and galleries operate in the southern areas, including the Tel Aviv Raw Art contemporary art gallery. Tel Aviv is the only city with three clubs in Israeli Premier League, the country's top football league. Maccabi Tel Aviv Sports Club was founded in 1906 and competes in more than 10 sport fields. Its basketball team, Maccabi Tel Aviv, is a world-known professional team, that holds 50 Israeli titles, has won 39 editions of the Israel cup, and has six European Championships, and its football team has won 21 Israeli league titles and has won 23 State Cups, four Toto Cups and two Asian Club Championships. Yael Arad, an athlete in Maccabi's judo club, won a silver medal in the 1992 Olympic Games. National Sport Center – Tel Aviv (also Hadar Yosef Sports Center) is a compound of stadiums and sports facilities. It also houses the Olympic Committee of Israel and the National Athletics Stadium with the Israeli Athletic Association. Hapoel Tel Aviv Sports Club, founded in 1923, comprises more than 11 sports clubs, including Hapoel Tel Aviv Football Club (13 championships, 16 State Cups, one Toto Cup and once Asian champions) which plays in Bloomfield Stadium, men's and women's basketball clubs. Bnei Yehuda (once Israeli champion, twice State Cup winners and twice Toto Cup winner) is the only Israeli football team in the top division that represents a neighborhood, the Hatikva Quarter in Tel Aviv, and not a city. Shimshon Tel Aviv and Beitar Tel Aviv both formerly played in the top division, but dropped into the lower leagues, and merged in 2000, the new club now playing in Liga Artzit, the third tier. Another former first division team, Maccabi Jaffa, is now defunct, as are Maccabi HaTzefon Tel Aviv, Hapoel HaTzefon Tel Aviv and Hakoah Tel Aviv, who merged with Maccabi Ramat Gan and moved to Ramat Gan in 1959. Two rowing clubs operate in Tel Aviv. The Tel Aviv Rowing Club, established in 1935 on the banks of the Yarkon River, is the largest rowing club in Israel. Meanwhile, the beaches of Tel Aviv provide a vibrant Matkot (beach paddleball) scene. Tel Aviv Lightning represent Tel Aviv in the Israel Baseball League. Tel Aviv also has an annual half marathon, run in 2008 by 10,000 athletes with runners coming from around the world. In 2009, the Tel Aviv Marathon was revived after a fifteen-year hiatus, and is run annually since, attracting a field of over 18,000 runners. Tel Aviv is also ranked to be 10th best to-skateboarding city by Transworld Skateboarding. The three largest newspaper companies in Israel—Yedioth Ahronoth, Maariv and Haaretz—are all based within the city limits. Several radio stations cover the Tel Aviv area, including the city-based Radio Tel Aviv. The three major Israeli television networks, Israel Broadcasting Authority, Keshet, Reshet, and Channel 10, are based in the city, as well as two of the most popular radio stations in Israel: Galatz and Galgalatz, which are both based in Jaffa. Studios of the international news channel i24news is located at Jaffa Port Customs House. An English language radio station, TLV1, is based at Kikar Hamedina. 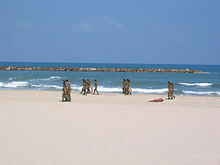 IDF soldiers cleaning the beaches at Tel Aviv, which have scored highly in environmental tests. Tel Aviv is ranked as the greenest city in Israel. Since 2008, city lights are turned off annually in support of Earth Hour. In February 2009, the municipality launched a water saving campaign, including competition granting free parking for a year to the household that is found to have consumed the least amount of water per person. In the early 21st century, Tel Aviv's municipality transformed a derelict power station into a public park, now named "Gan HaHashmal" ("Electricity Park"), paving the way for eco-friendly and environmentally conscious designs. In October 2008, Martin Weyl turned an old garbage dump near Ben Gurion International Airport, called Hiriya, into an attraction by building an arc of plastic bottles. The site, which was renamed Ariel Sharon Park to honor Israel's former prime minister, will serve as the centerpiece in what is to become a 2,000-acre (8.1 km2) urban wilderness on the outskirts of Tel Aviv, designed by German landscape architect, Peter Latz. At the end of the 20th century, the city began restoring historical neighborhoods such as Neve Tzedek and many buildings from the 1920s and 1930s. Since 2007, the city hosts its well-known, annual Open House Tel Aviv weekend, which offers the general public free entrance to the city's famous landmarks, private houses and public buildings. In 2010, the design of the renovated Tel Aviv Port (Nemal Tel Aviv) won the award for outstanding landscape architecture at the European Biennial for Landscape Architecture in Barcelona. In 2014, the Sarona Market Complex opened, following an 8-year renovation project of Sarona colony. Tel Aviv is a major transportation hub, served by a comprehensive public transport network, with many major routes of the national transportation network running through the city. As with the rest of Israel, bus transport is the most common form of public transport and is very widely used. The Tel Aviv Central Bus Station is located in the southern part of the city. The main bus network in Tel Aviv metropolitan area operated by Dan Bus Company, Metropoline and Kavim. the Egged Bus Cooperative, Israels's largest bus company, provides intercity transportation. The city is also served by local and inter-city share taxis. Many local and inter-city bus routes also have sherut taxis that follow the same route and display the same route number in their window. Fares are standardised within the region and are comparable to or less expensive than bus fares. Unlike other forms of public transport, these taxis also operate on Fridays and Saturdays (the Jewish sabbath "Shabbat"). Private taxis are white with a yellow sign on top. Fares are standardised and metered, but may be negotiated ahead of time with the driver. The Tel Aviv Central railway station is the main railway station of the city, and the busiest station in Israel. The city has three additional railway stations along the Ayalon Highway: Tel Aviv University, HaShalom (adjacent to Azrieli Center) and HaHagana (near the Tel Aviv Central Bus Station), Tel Aviv Mercaz. It is estimated that over a million passengers travel by rail to Tel Aviv monthly. The trains do not run on Saturday and the principal Jewish festivals (Rosh Hashana (2 days), Yom Kippur, Sukkot, Simkhat Torah, Pessach (Passover) first and fifth days and Shavuot (Pentecost). Jaffa Railway Station was the first railway station in the Middle East. It served as the terminus for the Jaffa–Jerusalem railway. The station opened in 1891 and closed in 1948. In 2005–2009, the station was restored and converted into an entertainment and leisure venue marketed as "HaTachana", Hebrew for "the station" (see homepage here:). The first line of a light rail system is under construction and scheduled to open in 2020. The Red Line starts at Petah Tikva's Central Bus Station, east of Tel Aviv and follows the Jabotinsky Road (Route 481) westwards at street level. At the point where Jabotinsky Road and Highway 4 intersect the line drops into an underground tunnel for 10 km (6.21 mi) through Bnei Brak, Ramat Gan and Tel Aviv and emerges again to street level just before Jaffa, where it turns southwards towards Bat Yam. The underground section will include 10 stations, including an interchange with Israel Railways services at Tel Aviv Central Railway Station and the nearby 2000 Terminal. A maintenance depot, connected via a branch line and tunnel to the main section of the line, will be constructed in Kiryat Arye, across from the existing Kiryat Arye suburban railway station. The intended builder and operator of the first line, MTS, has had financial difficulties that postponed the line's opening. In May 2010, the ministry of finance decided to cancel the agreement with MTS due to the difficulties and the agreement was cancelled in August 2010. The line is being built instead by NTA—The Tel Aviv region's mass transit development authority. Initially, the line's targeted opening was in 2012 and today the target is 2016 after several postponements due to the disagreements with MTS and NTA's takeover of the project. The second line is scheduled to open in 2021. 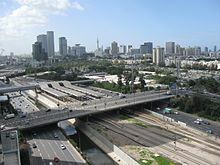 The main highway leading to and within the city is the Ayalon Highway (Highway 20), which runs in the eastern side of the city from north to south along the Ayalon River riverbed. Driving south on Ayalon gives access to Highway 4 leading to Ashdod, Highway 1, leading to Ben Gurion International Airport and Jerusalem and Highway 431 leading to Jerusalem, Modiin, Rehovot and the Highway 6 Trans-Israel Highway. Driving north on Ayalon gives access to the Highway 2 coastal road leading to Netanya, Hadera and Haifa. Within the city, main routes include Kaplan Street, Allenby Street, Ibn Gabirol Street, Dizengoff Street, Rothschild Boulevard, and in Jaffa the main route is Jerusalem Boulevard. Namir Road connects the city to Highway 2, Israel's main north–south highway, and Begin/Jabotinsky Road, which provides access from the east through Ramat Gan, Bnei Brak and Petah Tikva. Tel Aviv, accommodating about 500,000 commuter cars daily, suffers from increasing congestion. In 2007, the Sadan Report recommended the introduction of a congestion charge similar to that of London in Tel Aviv as well as other Israeli cities. Under this plan, road users traveling into the city would pay a fixed fee. The main airport serving Greater Tel Aviv is Ben Gurion International Airport. Located in the neighbouring city of Lod, it handled over 20 million passengers in 2017. Ben Gurion is the main hub of El Al, Arkia, Israir Airlines and Sun D'Or. 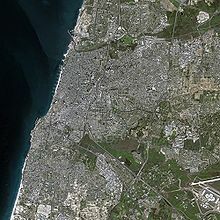 The airport is 15 kilometres (9 mi) southeast of Tel Aviv, on Highway 1 between Tel Aviv and Jerusalem. Sde Dov (IATA: SDV), in northwestern Tel Aviv, is a domestic airport and is planned be closed in favor of real-estate development. In the future all services to Sde Dov will be transferred to Ben Gurion Airport. Tel Aviv Municipality encourages the use of bicycles in the city. Plans called for expansion of the paths to 100 kilometers (62.1 mi) by 2009. As of April 2011 the municipality has completed construction of the planned 100 kilometres (62 miles) of bicycle paths. In April 2011, Tel Aviv municipality launched Tel-O-Fun, a bicycle sharing system, in which 150 stations of bicycles for rent were installed within the city limits. As of October 2011, there are 125 active stations, providing more than 1,000 bicycles. The Israeli Interior Ministry is planning on eventually annexing the neighboring city of Bat Yam into Tel Aviv. Current plans call for the merger to take place in 2023 after a few years' preparation. It has been suggested that if this proves successful, other neighboring cities such as Ramat Gan and Givatayim would then be merged into Tel Aviv. Some officials envision that as part of these mergers, Tel Aviv will become a supercity with several sub-municipalities in the style of Greater London. Miri Ben-Ari, "The Hip Hop Violinist"
^ Jerusalem is Israel's capital according to the Jerusalem Law passed in 1980. The presidential residence, government offices, supreme court and parliament (Knesset) are located there. The Palestinian Authority foresees East Jerusalem as the capital of its future state. The UN does not recognize Jerusalem as Israel's capital, taking the position that the final status of Jerusalem is pending future negotiations between Israel and the Palestinian Authorities "Map of Israel" (PDF). (319 KB). Countries maintain their embassies in Tel Aviv and its suburbs, or suburbs of Jerusalem, such as Mevaseret Zion. (see CIA Factbook). The Czech Republic, Taiwan, the United States, and Vanuatu recognize Jerusalem as the capital of Israel. ^ "List of localities, in Alphabetical order" (PDF). Israel Central Bureau of Statistics. Retrieved August 26, 2018. ^ Azaryahu, Maoz (2007). Tel Aviv: Mythography of a City. Syracuse, New York: Syracuse University Press. pp. 133–134. ISBN 9780815631293. ^ Mann, Barbara E. (2006). A Place in History: Modernism, Tel Aviv, and the Creation of Jewish Urban Space. Stanford, California: Stanford University Press. pp. 148, 166. ISBN 9780804750196. ^ The Cities Book: A Journey Through the Best Cities in the World. Melbourne, Oakland and London: Lonely Planet. 2009. pp. 380–381. ISBN 9781741798876. ^ "Global Financial Centres Index #23" (PDF). longfinance.net. 22 August 2018. ^ "Global city GDP 2014". Brookings Institution. Retrieved 8 May 2015. ^ Ami Sedghi (12 June 2012). "Which is the world's most expensive city? Cost of living survey 2012 | News | guardian.co.uk". Guardian. Retrieved 6 November 2012. ^ a b Goldman, Yoel (12 June 2012). "MasterCard ranks Tel Aviv as fifth most visited city in Middle East and Africa". The Times of Israel. Retrieved 12 June 2012. ^ a b Sapty, Tanya (19 July 2011). "Tourists rank Jerusalem and Tel Aviv among top cities to visit". Haaretz. Archived from the original on 12 November 2011. Retrieved 19 July 2011. ^ a b "The world's top 10 party towns". Sydney Morning Herald. 19 November 2009. Retrieved 19 November 2009. ^ a b "Lonely Planet's top 10 cities for 2011". Retrieved 31 October 2010. ^ a b Elkayam, Mordechai (1990). Yafo – Neve-Tzedek, Rashita shel Tel-Aviv (in Hebrew). Ministry of Defence. p. 199. ^ a b c d e "The White City of Tel Aviv" (PDF). UNESCO. Retrieved 29 March 2008. ^ a b c Strimpel, Zoe (16 February 2008). "Hip and happening in Tel Aviv". The Times. London. Retrieved 16 February 2008. ^ a b Azaryahu, Maoz, ed. (2012). "Telling the Story of a Hebrew City". Tel Aviv: The First Century. Indiana University Press. pp. 1–12. ^ LeVine, Mark (2 May 2005). "Overthrowing Geography: Jaffa, Tel Aviv, and the Struggle for Palestine, 1880–1948". University of California Press – via Google Books. ^ a b c d e f g h i j "From Spring Hill to Independence". Jewish Virtual Library. Retrieved 20 January 2008. ^ Azoulay, Yuval (1 April 2009). "Jacobus Street, corner of Oblivion". Haaretz.com. Retrieved 23 November 2012. ^ "Dizengoff, Meir". Jewish Agency. Archived from the original on 13 November 2007. Retrieved 21 January 2008. ^ Bridger, David (1906). The New Jewish Encyclopedia. Behrman House, Inc. p. 117. ISBN 978-0-87441-120-1. ^ Azaryahu, Maoz; Troen, Selwyn Ilan (2012). Tel-Aviv, the First Century: Visions, Designs, Actualities. Indiana University Press. p. 31. ISBN 9780253223579. Retrieved 19 April 2014. ^ Kosharek, Noah (20 April 2009). "Seashell lottery". Haaretz.com. Retrieved 23 November 2012. ^ "Tel-Aviv Centennial – "Ahuzat-Bayit Land Lottery". English.israelphilately.org.il. Retrieved 23 November 2012. ^ Bernthal, Ron. "The White City: Tel Aviv And Its Bauhaus Tradition". Travel Writer's Magazine. Archived from the original on 8 January 2008. Retrieved 21 January 2008. ^ The New York Times Current History. The New York Times Co. 1917. p. 167. Retrieved 15 March 2008. ^ Goren, Tamir (2016). "Tel Aviv and the question of separation from Jaffa 1921–1936". Middle Eastern Studies. 52: 473–487. doi:10.1080/00263206.2015.1125340. ^ "Palestine Census ( 1922)" – via Internet Archive. ^ Report of the Commission of Enquiry into the disturbances in Palestine in May, 1921, with correspondence relating thereto (Disturbances), 1921, Cmd. 1540, p. 60. ^ "Tel Aviv History". Travelnet.co.il. Archived from the original on 5 May 2009. Retrieved 20 January 2008. ^ Glass, Joseph B. (1 January 2002). "From New Zion to Old Zion: American Jewish Immigration and Settlement in Palestine, 1917–1939". Wayne State University Press – via Google Books. ^ Shamir, Ronen (2013) Current Flow: The Electrification of Palestine. Stanford: Stanford University Press. ^ Levine, Mark (2007). "Globalization, Architecture, and Town Planning in a Colonial City: The Case of Jaffa and Tel Aviv". Journal of World History. 18 (2): 178. ^ Welter, Volker M. (2009). "The 1925 Master Plan for Tel-Aviv by Patrick Geddes". Israel Studies. 14 (3): 100. ^ Welter, Volker M. (2009). "The 1925 Master Plan for Tel-Aviv by Patrick Geddes". Israel Studies. 14 (3): 115. ^ Centre, UNESCO World Heritage. "White City of Tel-Aviv – the Modern Movement". unesco.org. ^ "Tel Aviv". Jewish Virtual Library. Retrieved 18 July 2007. ^ a b c d e f g h Golan, Arnon (1995). "The demarcation of Tel Aviv-Jaffa's municipal boundaries". Planning Perspectives. 10: 383–398. ^ "Founders Monument and Fountain". Fodors. Archived from the original on 30 January 2008. Retrieved 21 January 2008. ^ a b c d e f g h "City Profile" (PDF). Tel Aviv-Yafo Municipality. Archived from the original (PDF) on 6 March 2007. Retrieved 30 March 2008. ^ 309.MUNCIPALITY OF TEL AVIV YAFO. (2006) The Strategic Plan for Tel Aviv Yafo. Israel: Strategic Planning Unit. (p.26). ^ "Foreign Ministry reaction to the transfer of the Dutch embassy from Jerusalem to Tel Aviv". Israel's Foreign Relations: Selected Documents. Israel Ministry of Foreign Affairs. 26 August 1980. Retrieved 3 June 2007. ^ "Embassies and Consulates in Israel". Israel Science and Technology Homepage. Israel Science and Technology. Retrieved 18 July 2007. ^ Kipnis, Baruch A. (2004). "Tel Aviv, Israel – A World City in Evolution: Urban Development at a Deadend [sic] of the Global Economy" (PDF). Archived from the original (PDF) on 9 April 2008. Retrieved 30 March 2008. ^ a b "Tel Aviv-Yafo Centennial Year 1909–2009". City of Tel Aviv-Yafo. Archived from the original on 28 February 2009. ^ "Ahuzat Bayit Collection" (in Hebrew). ^ "Eliasaf Robinson Tel Aviv Collection". Stanford University. Retrieved 2016-02-12. ^ Kipnis, B.A. (8 October 2001). "Tel Aviv, Israel – A World City in Evolution: Urban Development at a Deadend [sic] of the Global Economy". Globalization and World Cities Study Group and Network at Loughborough University. Retrieved 17 July 2007. Cities in Transition. Ljubljana: Department of Geography, University of Ljubljana, pp. 183–194. ^ "The Gulf War". Jewishvirtuallibrary.org. Retrieved 23 November 2012. ^ Fetter, Steve; Lewis, George N.; Gronlund, Lisbeth (28 January 1993). "Why were Casualties so low?" (PDF). Nature. London: Nature Publishing Group. 361 (6410): 293–296. Bibcode:1993Natur.361..293F. doi:10.1038/361293a0. ^ "Spiritual places in modern Israel". christ2020.de. ^ "Death toll". Cnn.com. Retrieved 23 November 2012. ^ "Fatal Terrorist Attacks in Israel Since the DOP (September 1993)". Israeli Ministry of Foreign Affairs. 24 September 2000. Retrieved 30 April 2012. ^ Serge Schmemann (5 March 2010). "Bombing in Israel:The Overview;4th Terror Blast in Israel Kills 14 at Mall in Tel Aviv; Nine-Day Toll Grows to 61". The New York Times. ^ "אתר לזכר האזרחים חללי פעולות האיבה". Laad.btl.gov.il. Retrieved 23 November 2012. ^ "The Palestinian Authority-Hamas Collusion – From Operational Cooperation to Propaganda Hoax". Ict.org.il. Retrieved 23 November 2012. ^ O'Sullvian, Arieh (25 November 2001). "No. 1 Hamas terrorist killed. Followers threaten revenge in Tel Aviv". Jerusalem Post. Archived from the original on 23 October 2012. Retrieved 30 April 2012. ^ Fisher, Ian (29 January 2006). "In Hamas's Overt Hatred, Many Israelis See Hope". New York Times. Retrieved 30 April 2012. ^ "Ynet – פיגוע בדולפינריום – חדשות". Ynet.co.il. 20 June 1995. Retrieved 23 November 2012. ^ "USATODAY.com – Six killed, scores wounded in suicide attack on Tel Aviv bus". USA Today. McLean, VA: Gannett. 19 September 2002. ISSN 0734-7456. Retrieved 16 October 2011. ^ Steele, Jonathan (20 September 2002). "Tel Aviv bus bomb shatters hopes of truce | World news | The Guardian". The Guardian. London: GMG. ISSN 0261-3077. OCLC 60623878. Retrieved 16 October 2011. ^ "BBC NEWS | Middle East | Fatal bus blast rocks Tel Aviv". BBC News. London: BBC. 19 September 2002. Retrieved 16 October 2011. ^ Schmemann, Serge (20 September 2002). "Suicide Bomber Kills 5 on a Bus in Tel Aviv – New York Times". The New York Times. New York: NYTC. ISSN 0362-4331. Retrieved 16 October 2011. ^ "CNN.com – Jerrold Kessel: Heart of Tel Aviv hit – 19 September 2002". cnn. 2011. Archived from the original on 4 October 2012. Retrieved 16 October 2011. ^ Khazzoom, Loolwa (29 September 2003). "Tel Aviv bar and bomb target slowly getting its groove back". jewishsf.com. Retrieved 30 April 2012. ^ a b "Syria-based Islamic Jihad claims role for Tel Aviv bombing". Usatoday.com. 26 February 2005. Retrieved 23 November 2012. ^ "Major Terrorist Attacks in Israel". Anti-Defamation League. Retrieved 19 July 2007. ^ "Terror Attack Outside Tel Aviv Nightclub Filled With 2,000 Teenagers". Abcnews.go.com. 29 August 2011. Retrieved 23 November 2012. ^ Kubovich, Yaniv (29 August 2011). "Terror attack in Tel Aviv leaves eight wounded". Haaretz.com. Retrieved 23 November 2012. ^ "'Apparent explosion' rocks Tel Aviv bus: Israeli police". Al Arabiya. 21 November 2012. Archived from the original on 21 November 2012. Retrieved 21 November 2012. ^ "Terrorist blows up bus in central Tel Aviv; 10 injured". Jerusalem Post. 21 November 2012. Archived from the original on 22 November 2012. Retrieved 21 November 2012. ^ "Terrorist Attack on Bus in Tel Aviv". Arutz Sheva. 21 November 2012. Retrieved 21 November 2012. ^ "Blast on bus in heart of Tel Aviv". Ynet News. 21 November 2012. Retrieved 21 November 2012. ^ "Israel-Gaza crisis: 'Bomb blast' on bus in Tel Aviv". BBC. 21 November 2012. Retrieved 21 November 2012. ^ "Tel Aviv". Jewish Agency. Archived from the original on 13 October 2007. Retrieved 26 January 2008. ^ "Cities located close to Tel Aviv". TimeandDate.com. Retrieved 26 January 2008. ^ "Map of Israel". Carta. Retrieved 15 March 2008. ^ a b Yarkoni, Amir. "Real Estate in Tel Aviv – continued". Tel Aviv Insider. Archived from the original on 24 June 2008. Retrieved 22 July 2008. ^ "Climate: Tel Aviv-Yafo - Temperature, Climate graph, Climate table - Climate-Data.org". climate-data.org. ^ Ltd, Copyright Global Sea Temperatures – A-Connect. "Tel Aviv Sea Temperature November Average, Israel – Sea Temperatures". seatemperature.org. ^ "Climatological Information for Tel Aviv, Israel". Hong Kong Observatory. Retrieved 2 August 2015. ^ a b Encyclopædia Britannica Staff (1974). The New Encyclopædia Britannica. Encyclopædia Britannica. p. 66. ISBN 0-85229-290-2. ^ "Social Services Administration". Tel Aviv-Yafo Municipality. Archived from the original on 26 April 2009. Retrieved 29 March 2008. ^ "Community Life". Tel Aviv-Yafo Municipality. Archived from the original on 26 May 2005. Retrieved 29 March 2008. ^ "Tourism". Tel Aviv-Yafo Municipality. Archived from the original on 2 March 2008. Retrieved 29 March 2008. ^ Harkov, Lahav (24 October 2013). "Incumbent mayors victorious in Tel Aviv, Jerusalem municipal elections". jpost.com. Retrieved 16 November 2014. ^ Shiner, Doron. "How they voted: See Israel election results by city/sector". Haaretz. Israel. Retrieved 14 June 2010. ^ a b c d e "Tel Aviv-Yafo in Numbers" (PDF). Tel Aviv-Yafo Municipality. July 2006. Archived from the original (PDF) on 24 November 2007. Retrieved 27 January 2008. ^ a b c d e f "Tel Aviv getting younger". Jerusalem Post. 21 January 2008. Retrieved 8 March 2015. ^ "Tel Aviv University". QS Top Universities. Retrieved 19 July 2007. ^ "Higher Education". Jewish Virtual Library. Retrieved 19 July 2007. ^ "TAU History". Tel Aviv University. Archived from the original on 8 November 2007. Retrieved 26 January 2008. ^ "Colleges in Israel". Israel Science and Technology Homepage. Retrieved 15 July 2008. ^ "Gymnasia Herzlia" (in Hebrew). Archived from the original on 21 August 2010. Retrieved 2 April 2008. ^ "Tel Aviv Ethnic Breakdown" (Excel). Israel Central Bureau of Statistics. 31 December 2005. Retrieved 7 July 2007. "Others" refers to non-Arab Christians and unclassified. ^ "Migration News". UC Davis. Archived from the original on 12 October 2007. Retrieved 22 May 2007. ^ "Unemployment rates in Israel, 2014, CBS (Hebrew)". www.cbs.gov.il. Retrieved 2016-03-06. ^ "Statistical Abstract of Israel 2007". Israel Central Bureau of Statistics. Archived from the original on 18 December 2008. Retrieved 23 January 2008. ^ Baruch, Uzi (17 May 2009). תל אביב דתית יותר ממה שנהוג לחשוב. Israel National News (in Hebrew). Retrieved 17 May 2009. ^ Michelson, Udi (19 January 2007). "The Jewish underground of Tel Aviv". Ynetnews. Retrieved 16 March 2008. ^ Arfa, Orit (21 October 2006). "Jewish learning on the rise in Tel Aviv". Jerusalem Post. Retrieved 15 July 2008. ^ Cohen, Avi (2 November 2006). "Synagogue vandalized as gay parade controversy picks up steam". Ynetnews. Retrieved 15 July 2008. ^ "Tel Aviv-Jaffa". Israeli Tourism Ministry. Archived from the original on 3 March 2008. Retrieved 16 March 2008. ^ "Population by District, Sub-District and Religion". Statistical Abstract of Israel 2007. Israel CBS. 2007. Archived from the original (PDF) on 16 April 2008. Retrieved 2 April 2008. ^ Associated Press (9 November 2008). "Former Chief Rabbi Lau named as chair of Yad Vashem council". Haaretz. Retrieved 22 November 2008. ^ Petersburg, Ofer (3 July 2007). "Tel Aviv airport to make way for luxury project". Ynetnews. Retrieved 3 July 2007. ^ Boulos, Nick (5 October 2013). "Show and Tel Aviv: Israel's artistic coastal city". The Independent. Retrieved 1 April 2014. ^ Mayer, Joel (4 December 2011). "Tel Aviv Chic; Exploring Graffiti in Florentine". Jerusalem Post. Retrieved 3 December 2011. ^ a b c d "Green, White or Black City?" (PDF). Martin Wein, Emory University. 2006. Archived from the original (PDF) on 9 April 2008. Retrieved 16 March 2008. ^ "White City of Tel Aviv". UNESCO. Retrieved 19 July 2007. ^ "Bauhaus Architecture". Jewish Virtual Library. Retrieved 11 February 2008. ^ "Skyscrapers dotting Tel Aviv landscape | j. the Jewish news weekly of Northern California". Jweekly.com. 29 March 1996. Retrieved 6 November 2012. ^ "Tel Aviv Towers". Tel Aviv in Focus. Archived from the original on 29 March 2008. Retrieved 15 March 2008. ^ "Tel Aviv". SkyscraperPage.com. Retrieved 15 March 2008. ^ Ynetnews.com, by Reuven Weiss, Ynet, 3 March 2009. ^ Go Out With the Old in Tel Aviv, David Kaufman, New York Magazine, Published 28 August 2008. ^ Mirovsky, Arik (18 November 2009). "Tel Aviv 50th in number of skyscrapers". Haaretz.com. Retrieved 6 November 2012. ^ "Egged Tower". Telavivinf.com. Archived from the original on 1 April 2012. Retrieved 6 November 2012. ^ "Egged Tower | Buildings". IL /: Emporis. Retrieved 12 March 2013. ^ "No new skyscrapers in central Tel Aviv – Israel Business, Ynetnews". Ynetnews.com. 20 June 1995. Retrieved 6 November 2012. ^ "New skyline for Tel Aviv, Editorial, world architecture news, architecture jobs". Worldarchitecturenews.com. 12 November 2012. Archived from the original on 17 May 2013. Retrieved 12 March 2013. ^ Ami Sedghi (1 September 2015). "TheGlobal FinancialCentres Index 18" (PDF). QFC. Retrieved 1 September 2015. ^ "Back to the Future / Everything's up to date in Tel Aviv. It's 1935". haaretz.com. ^ Dvir, Noam (13 July 2011). "Back to the future: Everything's up to date in Tel Aviv. It's 1935". Haaretz.com. Retrieved 23 November 2012. ^ "Tel Aviv City Guide". The Economist. Archived from the original on 11 October 2007. Retrieved 28 May 2007. ^ a b c Levy, Stephen; Matt Rees (9 November 1998). "Focus on Technology: The Hot New Tech Cities". Newsweek. ^ a b "Cost of living top 50 cities". Mercer Human Resource Consulting. Archived from the original on 25 July 2008. Retrieved 25 July 2008. ^ Sandler, Neal (21 June 2007). "Israel: A Hotbed of...Investment". BusinessWeek. Retrieved 7 July 2007. ^ Senor, Singer, Dan, Saul (2009). Start Up Nation. New York: Twelve. pp. 13–14. ^ "GaWC – The World According to GaWC 2016". Globalization and World Cities Research Network. Retrieved 18 December 2017. ^ "Tel Aviv named 2nd best high-tech center – Israel Business, Ynetnews". Ynetnews.com. Retrieved 12 March 2013. ^ "Tel Aviv ranks 2nd in innovation – Israel Business, Ynetnews". Ynetnews.com. Retrieved 12 March 2013. ^ "The World's Billionaires". Forbes. 8 March 2007. Retrieved 7 July 2007. ^ Bin-Nun, Boaz (9 December 2006). "Israel's 40 Richest". Forbes. Retrieved 7 July 2007. ^ Schamp, Eike W., Felsenstein, Daniel (2002). Emerging Nodes in the Global Economy: Frankfurt and Tel Aviv Compared. Springer. ISBN 978-1-4020-0924-2. Retrieved 25 March 2008. ^ a b c d e "Tel Aviv Culture". TravelGuides.com. Archived from the original on 17 December 2007. Retrieved 31 January 2008. ^ "History and Architecture". Israel Opera. Archived from the original on 22 January 2008. Retrieved 31 January 2008. ^ "Mann Auditorium". Hatarbut.co.il. Archived from the original on 19 January 2008. Retrieved 31 January 2008. ^ "Tel Aviv Activities". iExplore.com. Archived from the original on 2 June 2008. Retrieved 15 July 2008. ^ "McCartney wows fans with historic Israel concert". Reuters. 25 September 2008. Retrieved 26 September 2008. ^ "Depeche Mode to kick off next world tour in Israel". Haaretz. Retrieved 6 October 2008. ^ "Madonna To Wrap Up Tour in Tel Aviv". The Jewish Daily Forward. Retrieved 4 June 2009. ^ "Tel Aviv to host Eurovision 2019!". EBU. 13 September 2018. ^ "Results Of The Knight Frank Global Cities Survey". Archived from the original on 2 November 2012. ^ "Tel Aviv ranked world's 3rd hottest city for 2011". Retrieved 1 November 2010. ^ "World's Best Awards 2011 – Africa and the Middle East". Archived from the original on 11 July 2011. Retrieved 11 July 2011. ^ a b "Top 10 Beach Cities". Retrieved 30 July 2010. ^ "Tel Aviv emerges as top gay tourist destination". Associated Press. 24 January 2012 – via Salon. ^ "Photos: Top 10 Oceanfront Cities". National Geographic Travel. December 19, 2014. Retrieved December 30, 2017. ^ Brijbassi, Adrian (15 March 2011). "5 best Irish pubs not in Ireland". Toronto Star. Retrieved 15 March 2011. ^ "Tel Aviv bus tour". Tel Aviv City Tours. Archived from the original on 28 August 2008. Retrieved 19 January 2008. ^ "Tel Aviv architecture tour". TelAvivArchitecture.com. Archived from the original on 27 January 2008. Retrieved 19 January 2008. ^ "Tel Aviv segway tours". Segways.co.il. Retrieved 19 January 2008. ^ "Tel Aviv walking tours". TelAviv4Fun.com. Retrieved 19 January 2008. ^ "Tel Aviv Statistical Overview". Tel Aviv-Yafo Municipality. Archived from the original on 13 September 2014. ^ "Absolut bottle dedicated to Tel Aviv". ynetnews.com. ^ What's New in Tel Aviv, by David Kaufman, March 2008. ^ Fashion Week: Gottex[permanent dead link], 9 September 2008. ^ Merle Ginsberg (21 November 2011). "Roberto Cavalli Shows Spring 2012 Collection at First Ever Tel Aviv Fashion Week". The Hollywood Reporter. Retrieved 21 November 2011. ^ "Was Arafat Gay?". Out. Archived from the original on 26 January 2009. ^ "Tel Aviv named world's best gay city". Ynet. 11 January 2012. Archived from the original on 13 January 2012. Retrieved 11 January 2012. ^ Rinat, Zafrir; Lis, Jonathan (3 June 2016). "200,000 Israelis, Tourists Take Part in Tel Aviv Gay Pride Parade" – via Haaretz. ^ Zeitun, Yoav (26 December 2008). "Tel Aviv recruits gay athletes for 2009 World Outgames". Ynetnews. Retrieved 26 December 2008. ^ Benwick, Bonnie S. (4 April 2010). "Tasting Tel Aviv, Israel's culinary capital". Washington Post. Retrieved 4 April 2010. ^ Saradas-Trutino, Sarit (28 January 2008). "Israel becomes sushi mecca". Ynetnews. Retrieved 15 February 2008. ^ "Museums and Galleries". Tel Aviv Municipality. Archived from the original on 11 October 2007. Retrieved 22 September 2007. ^ Sharkansky, Ira (2005). Governing Israel: Chosen People, Promised Land and Prophetic Tradition. Transaction Publishers. p. 22. ISBN 0-7658-0277-5. ^ "Treasure of the State". Tel Aviv-Yafo Municipality. Archived from the original on 11 September 2007. Retrieved 26 January 2008. ^ "The Museums of Tel-Aviv-Jaffa". Tel Aviv-Yafo Municipality. Archived from the original on 14 January 2008. Retrieved 26 January 2008. ^ Slater, Robert (2003). Great Jews in Sports. Jonathan David Company, Inc. p. 19. ISBN 978-0-8246-0453-0. Retrieved 15 March 2008. ^ "Hapoel Tel Aviv". Fotw.net. Archived from the original on 29 June 2007. Retrieved 19 July 2007. ^ Ilan Lior (11 August 2016). "Bulldozers Begin Razing Historic Tel Aviv Cinerama to Make Way for 40-story Towers". Haretz. Retrieved 12 August 2016. Bloomfield Stadium is also being destroyed to be replaced by a much larger arena. ^ "Rowers Almanac". Rowersalmanac.com. Archived from the original on 8 October 2007. Retrieved 19 July 2007. ^ "Sports in the Tel-Aviv". Tel Aviv Insider. Archived from the original on 26 July 2007. Retrieved 19 July 2007. ^ "Israel Baseball League starts in June". St. Louis Jewish Light. Archived from the original on 27 September 2007. Retrieved 19 January 2008. ^ "10,000 athletes to run in Tel Aviv half marathon". Retrieved 7 November 2008. ^ "Thousands sport sneakers for Tel Aviv marathon". Haaretz. Israel. Retrieved 8 April 2011. ^ "Israel Newspapers". Abzynewslinks.com. Retrieved 31 January 2008. ^ "Tel Aviv Israel news media". Mondotimes.com. Retrieved 31 January 2008. ^ "Tel Aviv-Yaffo Municipality, Beaches" (PDF). Archived from the original (PDF) on 12 July 2012. Retrieved 23 November 2012. ^ "Tel Aviv ranked Israel's greenest city". Globes. 11 April 2011. Retrieved 11 April 2011. 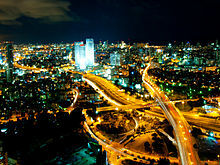 ^ "Tel Aviv goes dark as part of global 'Earth Hour' campaign". Haaretz. 30 March 2008. Archived from the original on 30 March 2008. Retrieved 30 March 2008. ^ Senyor, Eli (22 February 2009). "Tel Aviv launches water saving campaign". Ynetnews. Retrieved 27 February 2009. ^ Electric Tel Aviv, by David Kaufman, Financial Times, 12 February 2008. ^ a b Recycling in Israel, Not Just Trash, but the Whole Dump, by Isabel Kershner, 24 October 2007. ^ Dvir, Noam (3 October 2010). "Israelis win Barcelona landscape prize". Haaretz.com. Retrieved 23 November 2012. ^ "Sarona: From Templers, to Nazis, government, terror and, hopefully, to tranquility". Times of Israel. 18 June 2016. ^ Solomon, Shoshanna (1 November 2001). "Facets of the Israeli Economy – Transportation". Israel Ministry of Foreign Affairs. Retrieved 17 July 2007. ^ Ribin, Alex. "HATACHANA – HOME PAGE". hatachana.co.il. ^ "Israel Treasury: We decided to take the light rail from Leveiev. New opening target: 2016" (PDF). Yedioth Ahronot. Archived from the original (PDF) on 6 July 2011. Retrieved 11 April 2007. ^ Wrobel, Sharon (1 August 2008). "Public transportation to be overhauled". Jerusalem Post. Retrieved 27 January 2008. ^ Bar-Eli, Avi (30 November 2006). "Sde Dov to be vacated, state gets half of Big Bloc". Haaretz. Retrieved 17 July 2007. ^ "City wheels in bicycle rental plan". The Jerusalem Post. 21 January 2008. Retrieved 31 January 2008. ^ "Tel-O-Fun". Tel Aviv Municipality. Retrieved 10 May 2011. ^ "Budapest – Testvérvárosok" [Budapest – Twin Cities]. Budapest Főváros Önkormányzatának hivatalos oldala [Official site of the Municipality of Budapest] (in Hungarian). Archived from the original on 9 August 2013. Retrieved 14 August 2013. ^ "City Twinnings". Stadt Bonn. Archived from the original on 10 April 2013. Retrieved 1 August 2013. ^ "Les villes jumelées" (in French). Toulouse, France: Mairie de Toulouse. Retrieved 2015-07-05. ^ "Twin Towns". Frankfurt: City of Frankfurt. Retrieved 2016-06-19. ^ "Tel Aviv sister cities". Archived from the original on 22 July 2013. Retrieved 4 August 2013. ^ "Panama City and Tel Aviv Sign Agreement to Become Sister Cities". Caribbean Journal. Retrieved 25 June 2013. ^ "Interior Ministry aims to unify Tel Aviv with Bat Yam". 6 July 2017. ^ Lior, Ilan (5 December 2016). "Ministry Panel Recommends Merging Tel Aviv and Bat Yam" – via Haaretz. ^ Arlosoroff, Meirav (28 March 2017). "A Merger That Endangers Liberal, Secular Tel Aviv" – via Haaretz. Catherine Weill-Rochant (2006). Le plan de Patrick Geddes pour la " ville blanche " de Tel Aviv : une part d’ombre et de lumière. Volume 1 (PDF) (PhD thesis). Paris: Université Paris 8. Archived from the original (PDF) on 3 December 2009. Retrieved 9 July 2010. And: Catherine Weill-Rochant (2006). Le plan de Patrick Geddes pour la " ville blanche " de Tel Aviv : une part d’ombre et de lumière. Volume 2 (PDF) (PhD thesis). Paris: Université Paris 8. Archived from the original (PDF) on 3 December 2009. Retrieved 9 July 2010. Wikimedia Commons has media related to Tel Aviv-Yafo. Wikivoyage has a travel guide for Tel Aviv. This page was last edited on 18 April 2019, at 13:29 (UTC).